A votre santé! Help your guests to make this toast and many others with greater ease when you choose the Montreal Drink Ticket! 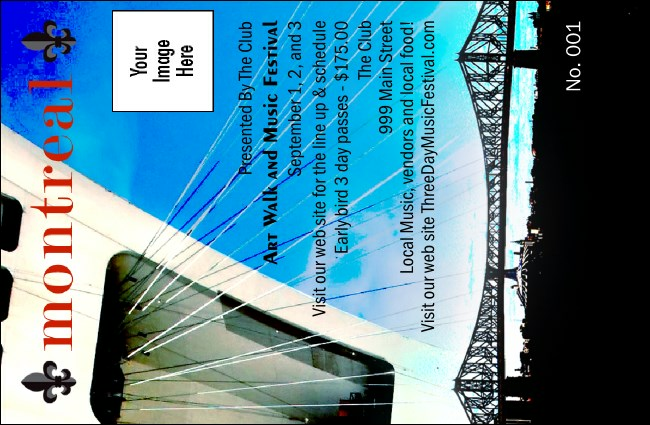 Individually numbered, featuring the Olympic Stadium and the Jacques Cartier Bridge as a background, these tickets are a great way to sell drinks ahead of time. Take it down a notch? TicketPrinting.com also offers this design in black and white!